The air smells of hot, dry grass trampled underfoot. It smells of diesel, of cider and cigarettes and burgers and ice cream and the ends of things. The end of the summer. The end of us: of Steffan and Jared and me. If you're looking for a summer road trip book, I have the perfect one for you. Steffan, Jared and Limpet's lives are each being turned upside down. Steffan is being forced to move to America, Jared's dad is coming out of prison, and Limpet's dealing with the recent death of her alcoholic mother. Each bearing the weight of their parents' issues, they decide to go on a road trip to see out the summer in style. Camping in the Welsh countryside, they learn more about themselves than ever before. The Last Summer of Us is the bittersweet tale of endings and beginnings.It evokes memories of hazy summer days where the line distinguishing sea from sky is non-existent, and the endless days of freedom are coming to an end. Despite being a little slow at first, I feel like this book is a shining example of UKYA. The narrative is fresh and funny, the style is super laid-back, and every sentence is brimming with hope and possibility. It carries the message that your parents' issues aren't your fault, and that you should never feel responsible for the death of a loved one, whether it was due to an addiction like with Limpet's mother, or due to an illness, like with Steffan's mother. It's a subtle message, but I think there are people out there who will be able to draw comfort from it. Overall, The Last Summer of Us is a fun and sparkling debut with one of the best slow-burning romances on the YA scene since Anna and the French Kiss. On a different topic, I just wanted to let you all know about an exciting competition currently happening over at CultNoise Magazine. 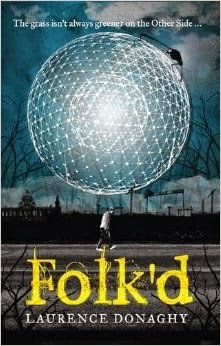 They're giving away one complete set of the Folk'd trilogy books - and they're all signed! I'm completely intrigued, and you will be, too, when you read the synopsis. "Meet Danny Morrigan. Call centre worker. Young father. Danny's not entirely happy with his life. He finds himself tortured by the 'what ifs', and by one in particular - what if his casual girlfriend hadn't told him she was pregnant before he finished his university degree? What if, out of some sense of decency and not wanting to be like his own father, he hadn't 'done the right thing' and dropped out to support her and the baby? But when Danny comes home from work after a particularly bad day to find his girlfriend and baby son have vanished into thin air, it begins a series of events that quickly moves beyond a simple missing persons case. Danny begins to uncover the Morrigan family's real purpose in this world, a world of lurking danger and concealed horror, where the line between mythology and reality blur." Click here to enter - you haven't got long! 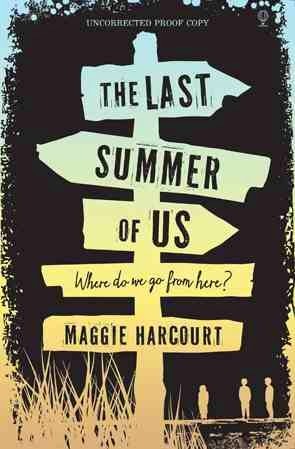 The Last Summer Of Us looks like an amazing read for the summer holidays. Especially since this is my last year at school with some of my friends. Will be sure to pick this up when it comes out!